New Zealanders have begun to voluntarily hand over their semi-automatic guns as their government looks to swiftly tighten laws and mulls a buyback after a deadly shooting at two mosques. Prime Minister Jacinda Ardern has called on her nation's gun owners to consider returning their weapons after a terror attack in Christchurch that killed 50. Questions have been raised about the availability of military-style semi-automatic rifles in New Zealand with the man charged over the attack, 28-year-old Australian Brenton Tarrant, having allegedly used two of the weapons, legally bought, in the attack, along with three other guns. Farmer John Hart, who has owned one of the semi-automatic weapons for a decade said he had turned his over to police. "Once I came to the realisation that any convenience or utility I may have having it around the farm is far outweighed by the risk it poses just by existing .. the only way I could go forward with a clear conscience was to not have it," he told Radio NZ. "We don't need these in our country," he posted on social media. 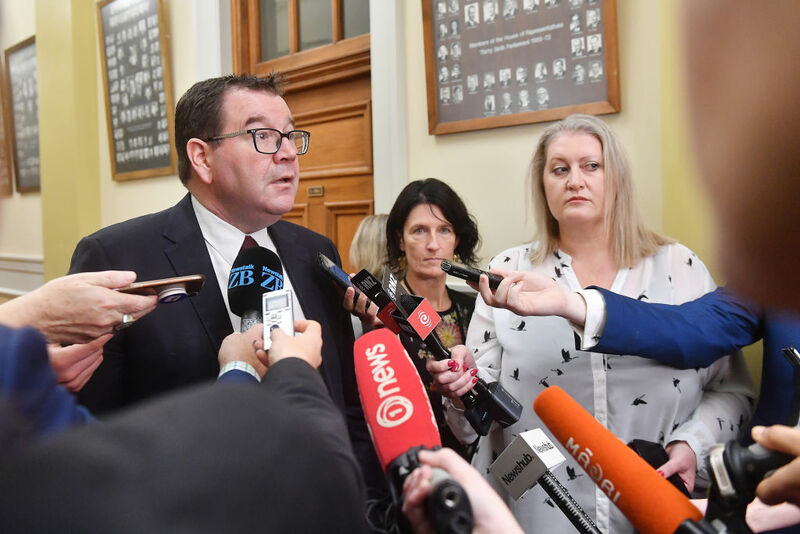 New Zealand's government has promised to announce the details of gun laws next week, and while Ardern would not confirm what they will include, her cabinet has been mulling semi-automatics. Finance Minister Grant Robertson on Tuesday said he was considering a gun buyback scheme and had been looking into Australia's experience for help, after their successful buyback in the late 1990s. "Certainly we're working on that very idea right now," he told reporters in Wellington. The Christchurch gunman is believed to have carried five guns, legally bought with a licence, and then later illegally modified - an issue also being looked into by cabinet. The owner of Christchurch gunshop Gun City this week confirmed Tarrant had bought the guns and ammunition online from the store. But David Tipple said none of the weapons were the military-style semi-automatic rifles used during the attack. The country's biggest gun show, the Kumeu Militaria event, has been cancelled out of respect for victims and security concerns. Trademe, New Zealand's answer to Ebay, said it would halt the sale of semi-automatic weapons while awaiting answers from the government.